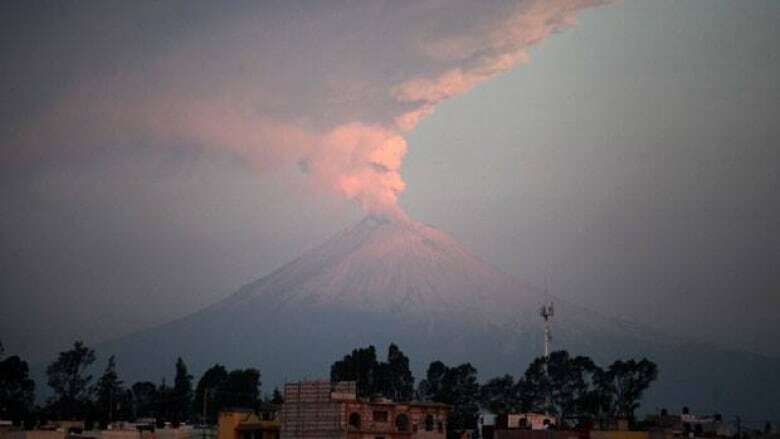 Mexico's Popocatepetl volcano has hurled super-heated rock fragments a kilometre into the air and officials warn more and bigger outbursts are likely. The volcano southeast of Mexico City has sent giant plumes of ash and water vapour into the air, which may trigger fallouts of gritty, abrasive volcanic ash that can ruin car engines and block drains. The National Disaster Prevention Center said in a report Thursday that ash may fall on the eastern flank of the peak, away from the Mexican capital. The volcano had spouted ash or vapour about 15 times over the last 24 hours. Authorities this week raised the alert level due to increasing activity at the 5,450-metre peak. Its most violent eruption in 1,200 years occurred on Dec. 18, 2000.